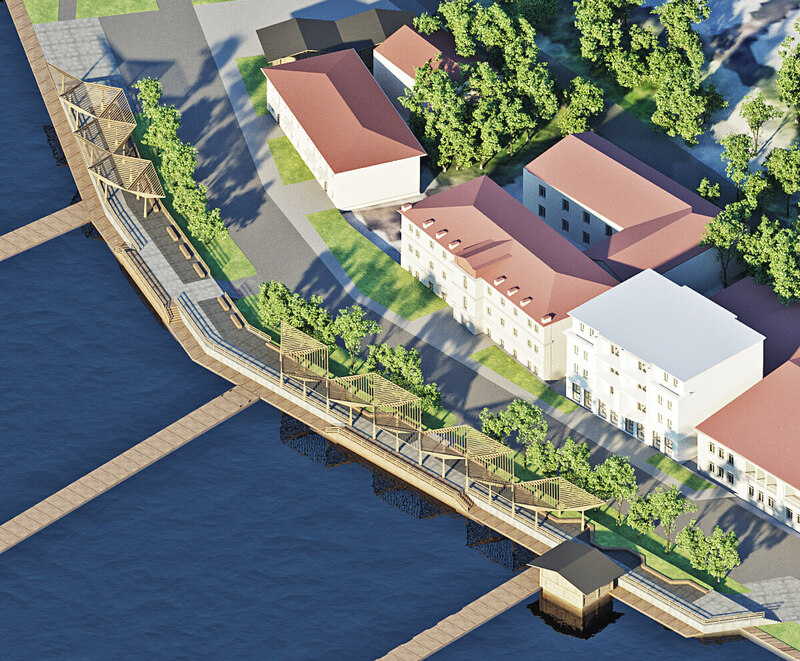 to turn a decrepit bay into the best yachting complex in Russia. Balaklava Bay is located not far from Sevastopol, near the tiny city of Balaklava. Right now the bay looks sad: gray landscape, a quay with rusty trash bins and a dilapidated Metallist plant. The list of landmarks includes a beach made entirely of concrete. But in fact, Balaklava Bay is truly amazing: it is uniquely positioned in such a way that it is never hit by storms. In the entire Black Sea there is not a single bay better suited for mooring ships. 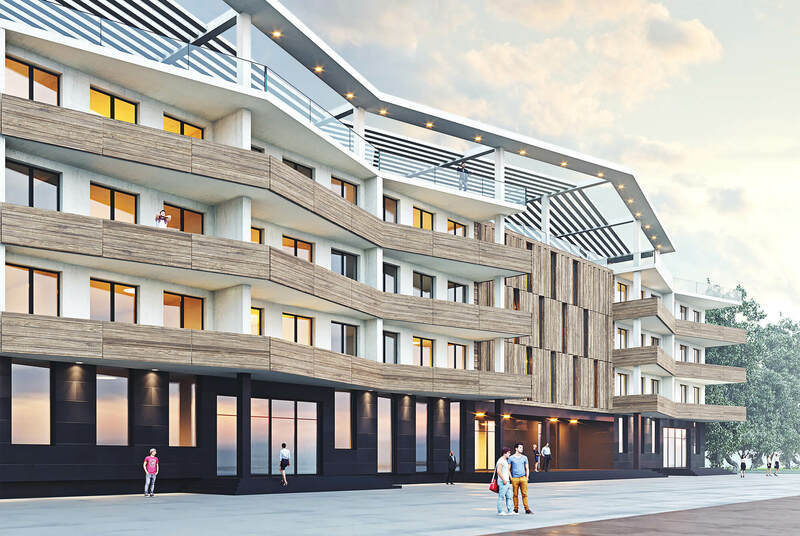 A grand concept of developing Balaklava Bay was created at the studio. We figured out how to turn an abandoned harbor into a world-class marina. What are marinas and what are they used for? Marinas are special parking locations for yachts and boats. It is believed that to ensure comfortable yacht tourism they should be located at intervals of no more than 50 kilometers, yet in reality they almost do not exist. This is a big problem for yacht owners as they have to leave their ships moored in Turkey, the closest location of good marinas. 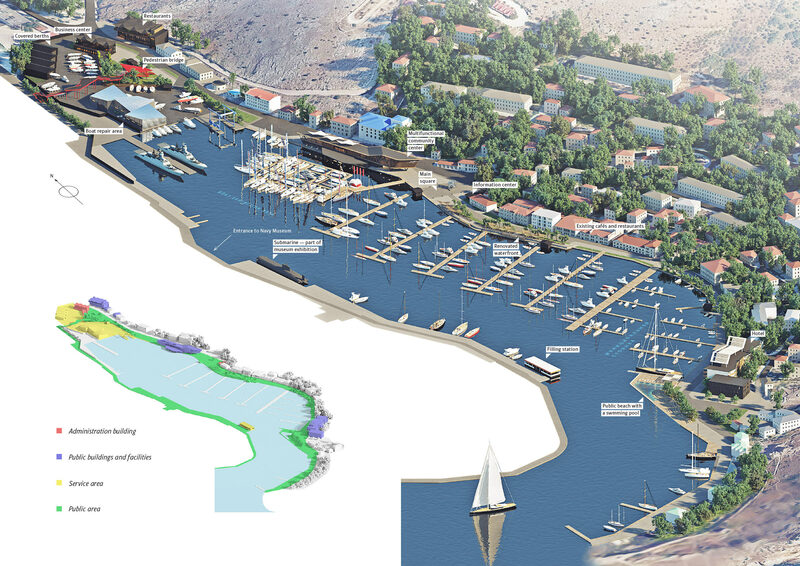 The marina will become the semantic center of the renovated Balaklava Bay. Next to it will be public spaces, restaurants and hotels, a ship repair area, a cozy waterfront and a beach. Today the coast looks untidy: in the winter it houses lonely cafés with no visitors, in the summer it is full of kiosks with souvenirs and dried fish. 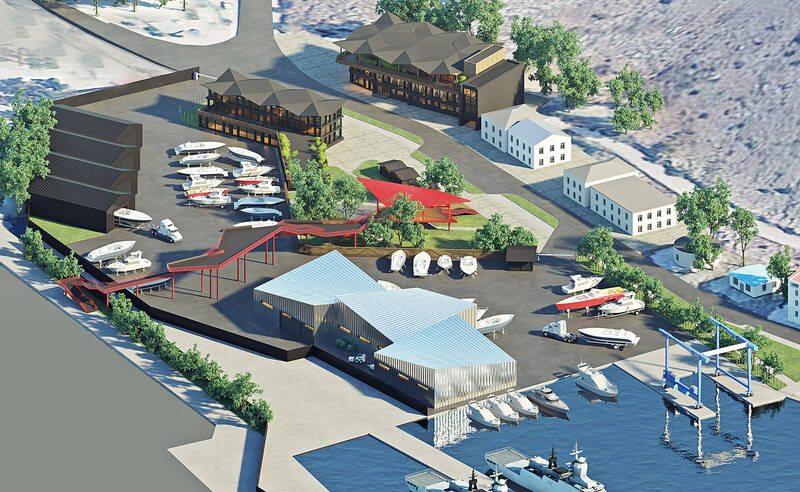 The chaotic diners and tents will be replaced with a modern public complex with a yacht club, restaurants and stores which will become the center of Balaklava’s social life. 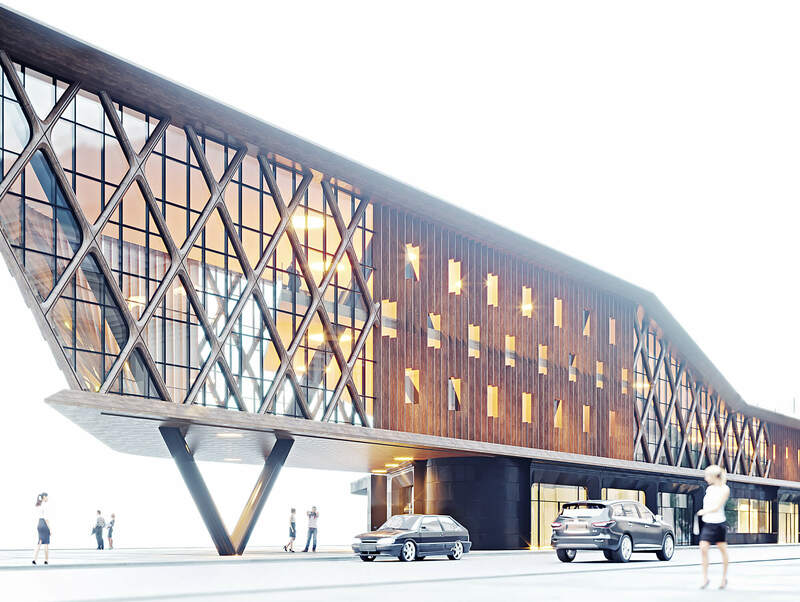 It will be a beautiful three-level building with an open roof. 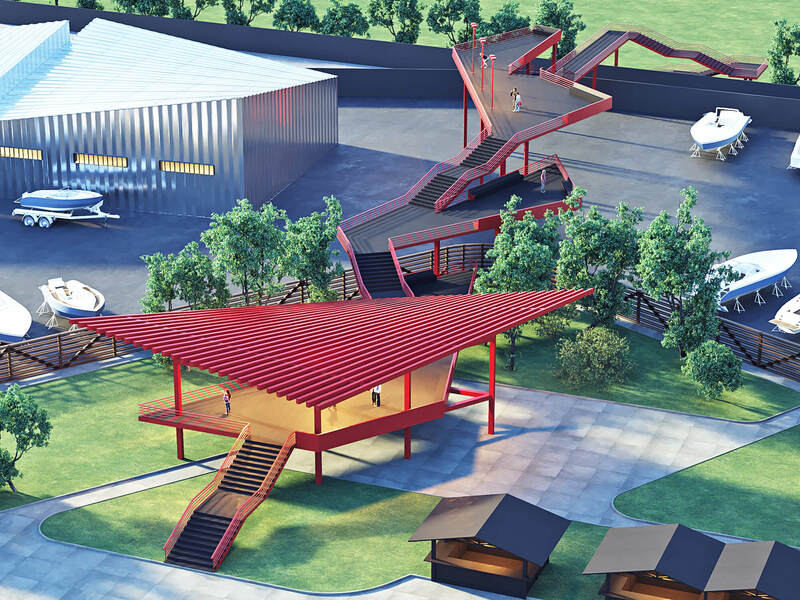 On top will be an observation platform with the best views of the city and the bay. The waterfront will transform to become the city’s primary walking space. Everything has been thought out to make the pedestrian comfortable: descents to the water, lawns, benches and shadowy canopies. 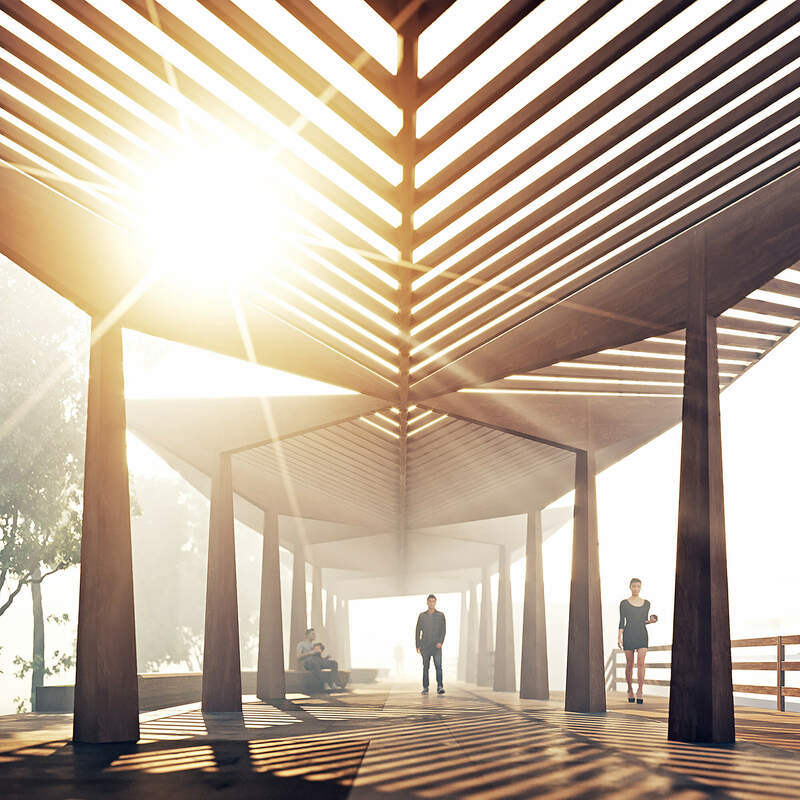 Along the sea are cozy galleries with pergolas that provide protection from the scorching sun. They are light and airy, rhyming in shape with all the new buildings in the bay. Each marina needs yacht repair shops. Boats break down from time to time and it would be great to fix them right where they are parked. On the shore of the Balaklava Bay is the abandoned Metallist plant. Previously it was considered a city-forming enterprise but today it is barely alive: only few of its facilities are still operating, the rest of the buildings are in disrepair. 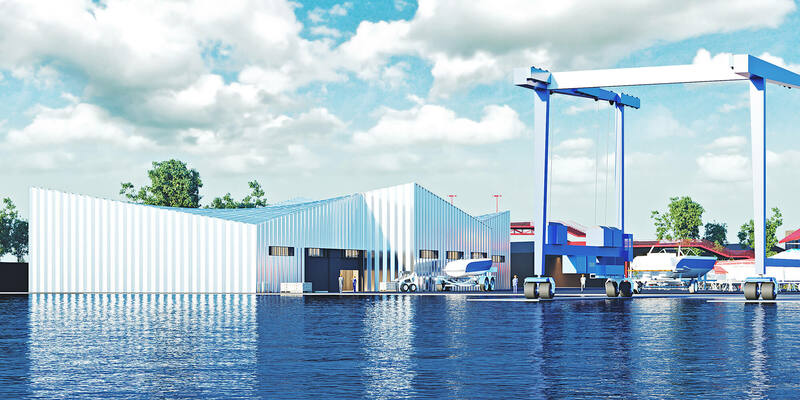 We suggested to turn the plant into a boat repair, maintenance and storage complex. This will solve two problems: the marina will get a full-scale service area and new jobs will appear in the city (right now the job situation is very poor). The complex will be located at the end of the bay and will be visible from afar, which is why its appearance will be especially important. 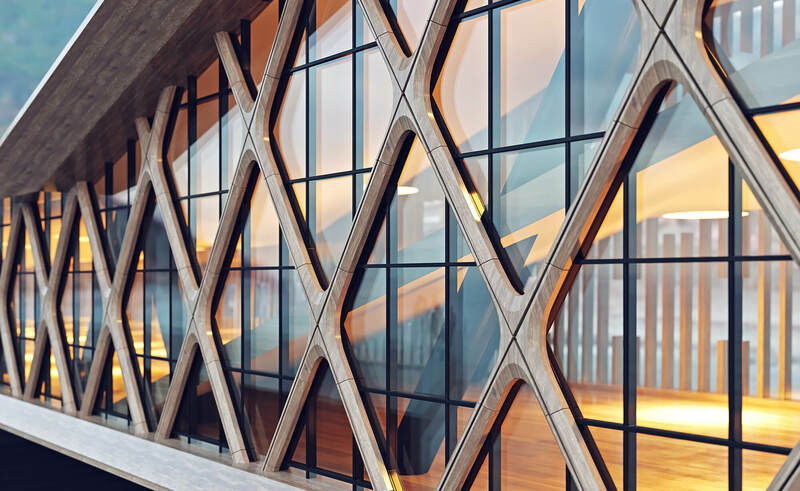 An unusual shape will give the complex a modern look and the reflecting siding will help it blend in with the natural environment. 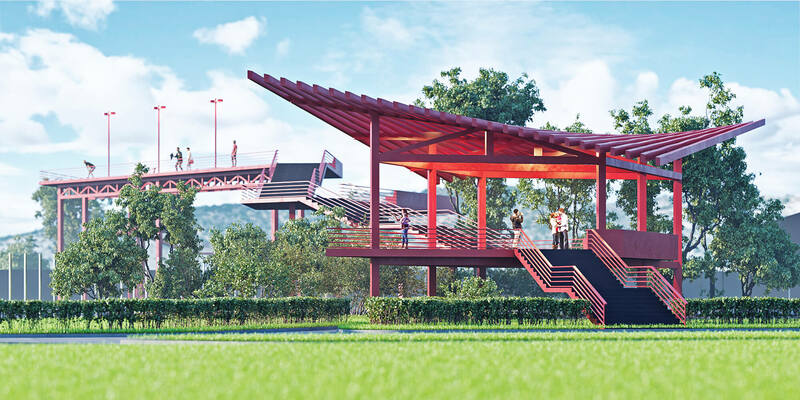 The pedestrian bridge will become one of the main new landmarks. Why is it needed? Balaklava Naval Museum is full of historical military equipment and submarines is located near the boat service complex. This is the most popular local sight, almost all tourists visit the museum. Unfortunately, it’s impossible to get to it via a beautiful road as the part of the waterfront near the plant is closed for access, so tourists have to walk for several kilometers on rocks and gravel. The bridge will connect the remote areas of the bay and fit into the new architectural image. 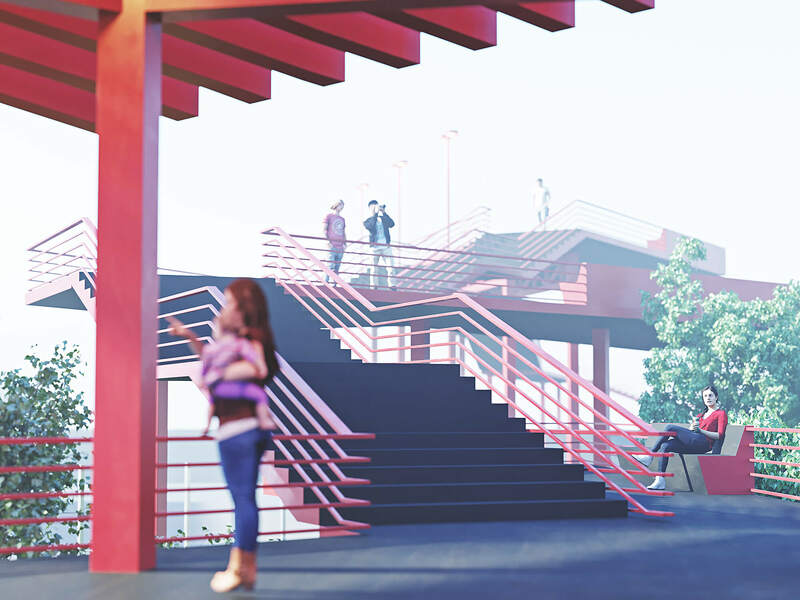 The bridge will include several observation platforms each offering incredible views of the bay and the city. 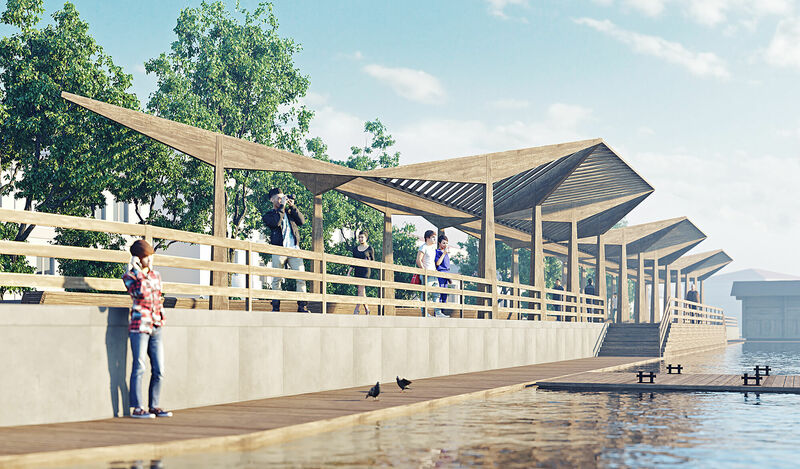 The halfway platforms will have benches positioned in such a way that for the most part of the day they will be under the natural shade of the bridge. The topmost part of the bridge will have an observation platform with additional lighting. A passageway to long-term boat storage area will go below it. 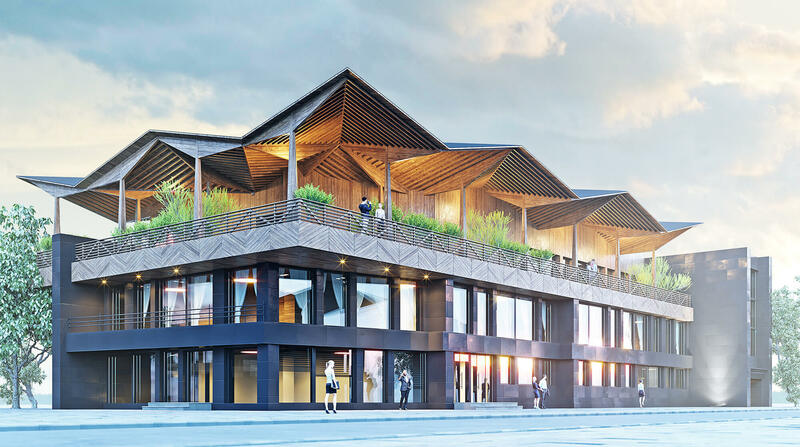 We take an ugly concrete building, append an entrance lobby, balconies, a curved roof, paint everything in nice colors, plant some trees and whoosh! we’re looking at a nice new hotel. This is what we’ll do with all houses that can still be saved. 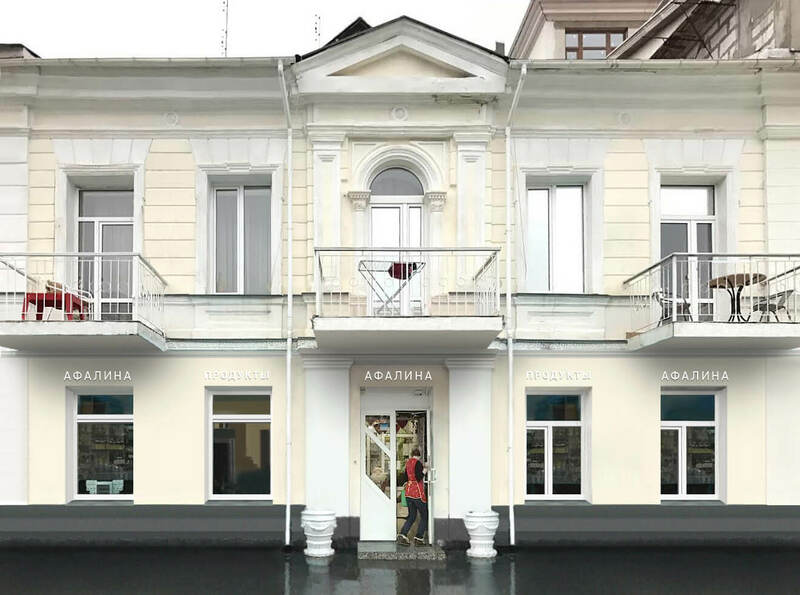 For example, with little effort the Soviet-era caféteria (a horrible collapsing stone mutant of a building) can be transformed into a wonderful restaurant complex with a canopy and a green terrace. Balaklava’s current beach is one of the most unusual beaches on the planet. The reason is that it is concrete. Literally. There is not a single grain of sand, just bare concrete. People come, test the temperature of the surface with their foot, spread out the rugs and begin to sunbathe. We can’t preserve the beach in this form (neither do we want to!) which is why everything will transform dramatically. 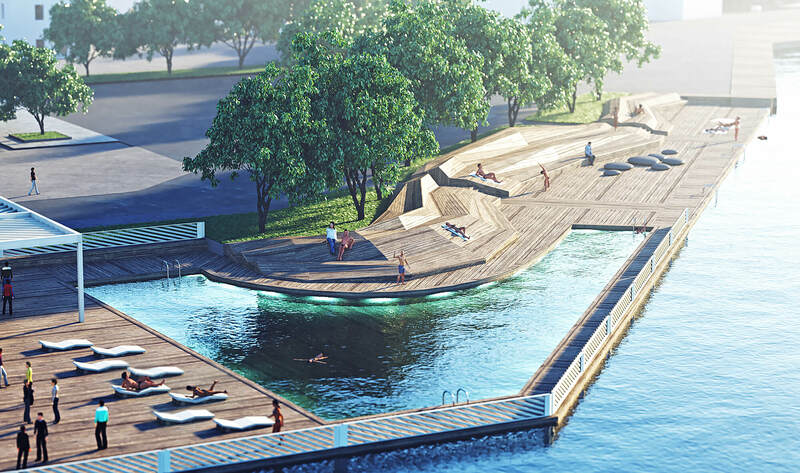 First of all, the concrete will be covered with wooden flooring and the existing beach area will be expanded and supplemented with a swimming pool. The part of the aquatic area near the public center remains free (we can’t obstruct this view forever!). During important sailing events, wooden pontoons will be put on water making it possible to walk among yachts, boats and equipment to get a close look. 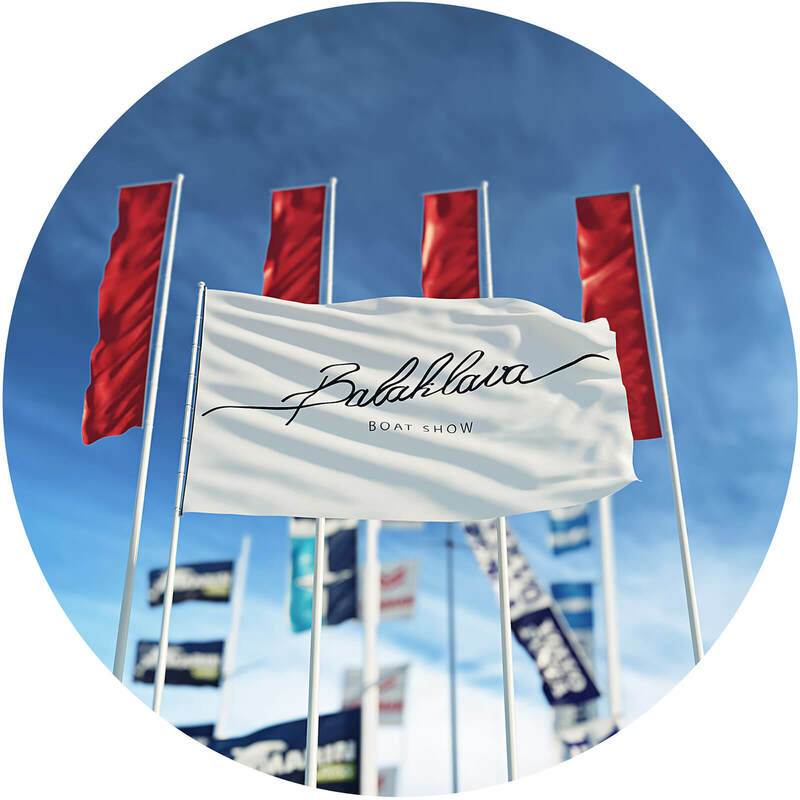 Exhibitions will the attract attention of yachtsmen and tourists from all over the world. 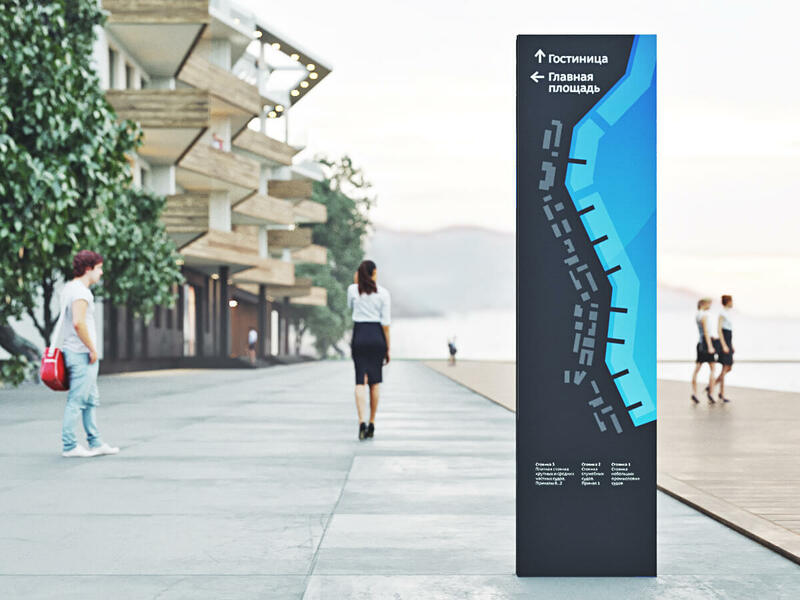 The final stage of Balaklava Bay improvement is the development of a design code and a navigation system. The design code will save historic buildings from visual noise while a well thought-out navigation will help find way around the bay. 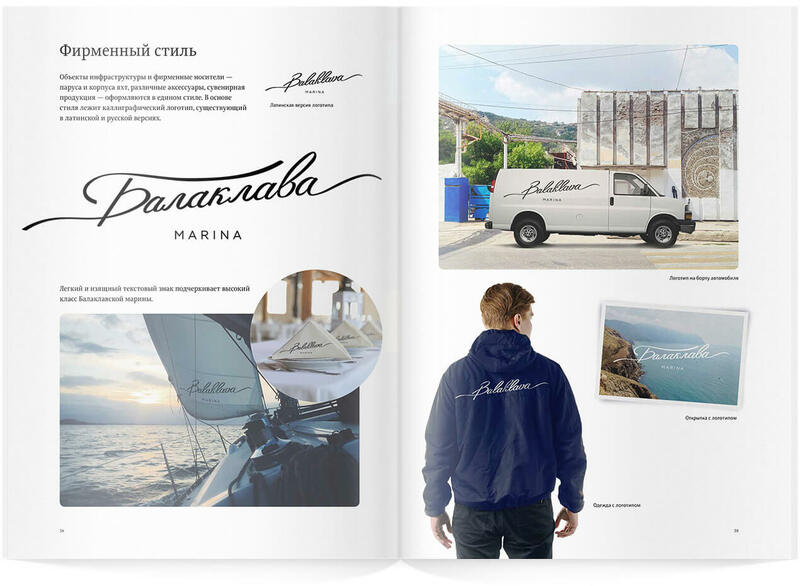 Balaklava Bay development concept is described in great detail in a beautifully typeset album. 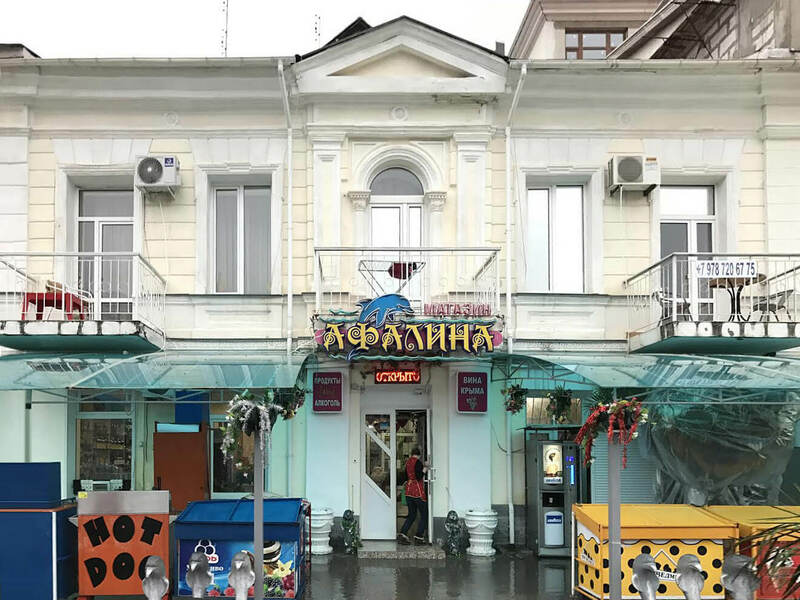 It is a big book about turning a decrepit harbor into one of Russia’s tourist centers.